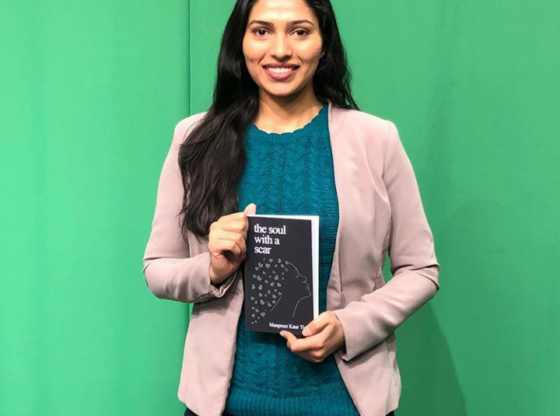 SFC alumna Manpreet Kaur Tiger shows her raw and vulnerable self in the pages of her book, The Soul With A Scar. Kaur Tiger graduated with a Bachelors of Science and a Masters of Science in Accounting. When reflecting on her time at SFC, Tiger said: “I loved my experience at SFC because of the small community. On her visits back to SFC, Kaur Tiger spreads love and happiness. In six chapters, Kaur Tiger takes readers on her journey to find herself and her true happiness. Each poem was written with passion and the quest to show the world how her obstacles only made her stronger. “In November 2018, I was feeling really down and emotional and I didn’t know what to do or why I was feeling all these emotions. Kaur Tiger wants to empower more and more people who are going through obstacles in their life that feel like they are alone and give them the support to release all their emotions. Going through those difficult moments in her life, Kaur Tiger was able to turn the negative into something beneficial, something that will influence many people to heal their souls. “A message to my readers: I hope you find yourself in my book. I have put my heart in your hands in hopes to connect to your soul to heal its deepest scars. “I invite you to read through my journey of healing and empowerment to look deep within your own heart and take a step towards self-healing too. “Learn to let go of what no longer serves you and confidently move forward to a happy and filing life. I will be there with you through my book,” she said.